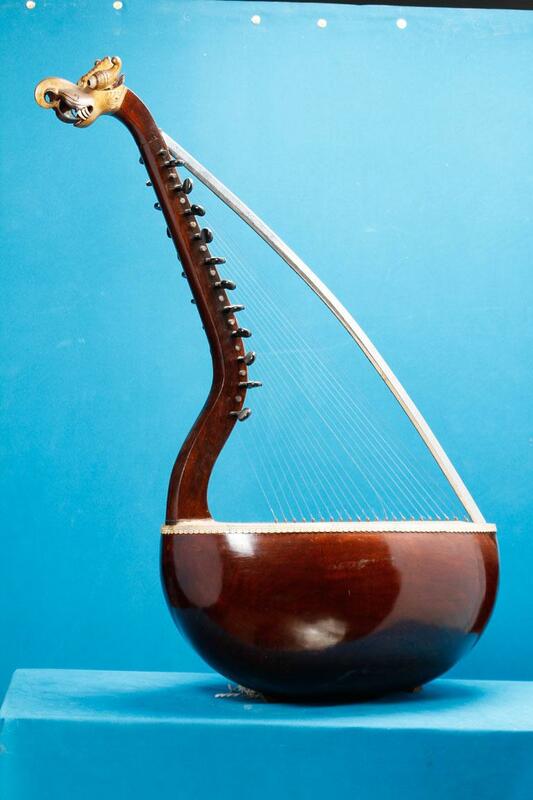 Yazhl is a precursor of modern –day musical instrument, Veena. It is an open-stringed polyphonous instrument, with gut strings (narambu).This wooden musical instrument has a boat-shaped skin, covered resonator and an ebony stem. This harp was used in ancient Tamil music.